The World Cup is over and with a long three and a half weeks until the Football League kicks off (or four and a half until the Premier League starts for those who don’t delve into the depths of lower league football) we at FilmAttic have been looking for football films to keep fans entertained. To give the final 10 selections a wider reach for all we’ve not included documentaries, as they can be very club specific and likely to cause arguments in the FilmAttic office. 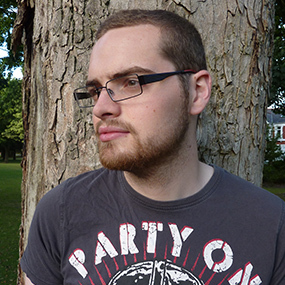 There was a certain amount of discussions of which film would make the cut to 10th position – we were between When Saturday Comes and There’s Only One Jimmy Grimbel. Both showed passion for their teams, Sheffield United and Manchester City respectively, and both have heroes from a working class background dreaming of playing for their boyhood clubs. 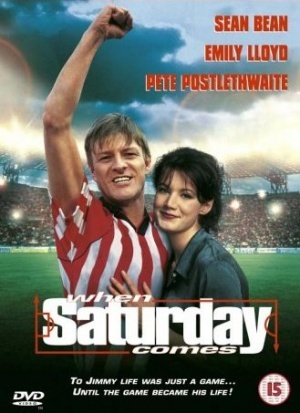 However, When Saturday Comes won the battle as it has a stronger performance from its lead and is most amazingly a film in which Sean Bean (spoiler) doesn’t die. Main Reason to Watch It? Sean Bean’s performance is wonderful and his passion for The Blades is absolutely genuine. A remake of American Football film The Longest Yard, which starred Burt Reynolds, Mean Machine transposes prison action over to England and gives the lead to ex-Wimbledon captain Vinnie Jones. 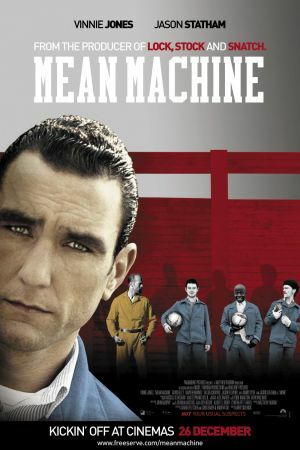 The film is set in a prison and focuses on a match between guards and inmates. The convicted criminals are led by an ex-professional footballer, but luckily it doesn’t rest solely on Jones’ performance as each of the supporting cast adds something special. These include Jason Statham as a psychotic monk goalkeeper, Vas Blackwood as the assistant coach who can get his hands on anything, and Danny Dyer, a young enthusiastic fan who lacks skill but not passion. The performance of David Kelly as prison old timer, Doc, is pitched perfectly and the commentary from inmates Bob and Bob certainly add some comedy to the match. 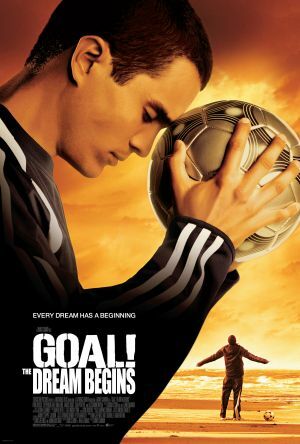 A list of footballing films wouldn’t be complete without an appearance from at least one of the Goal! trilogy. We decided the best one to watch was the original as it’s the only film to ever show a journey from dismal and drab Los Angeles to the glitz and glamour of Newcastle. Mixing the story of a determined character with appearances from greats like Zidane, Raul, Beckham and Shearer, Goal! manages to excite football fans but is also effective in its romance angle. Anna Friel provides a great Geordie accent and helps to entice non-sports fans. This film has some of the most realistic football sequences of any film in our list. Sneaking into 7th place is the Rom-Com Fever Pitch. 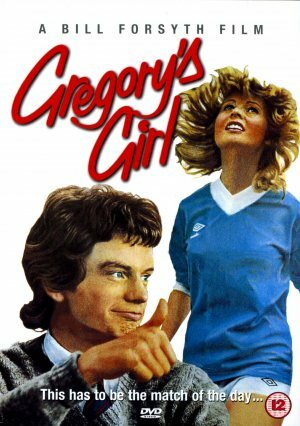 The film is based on a novel by About a Boy writer Nick Hornby, and sees Paul and Sarah’s relationship played out alongside Paul’s obsession with Arsenal FC. This may resonate with partners of sports fans whom regularly witness how emotionally linked their partner’s are to the sport, especially when their team let’s victory slip away. Oscar winner Colin Firth brings passion and his loveable British qualities to the romantic lead, Paul. Romance and sport combine once more in this coming of age drama as we see the first appearance of a woman, Dorothy, playing football. She plays the centre forward position for her school team, much to the delight of male teammates. 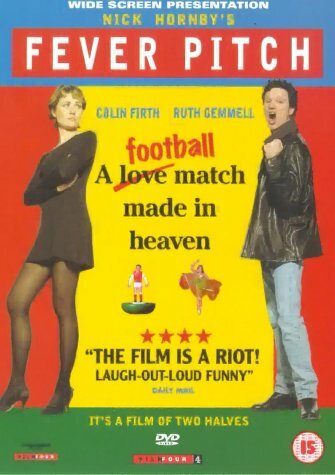 Like Fever Pitch, this manages to combine romance, drama and football, and may even pack the best punch for drama alone from our selection; but for a footballing fix this might lack the full hit needed. This coming of age drama is a British classic and is a must see even for non-sports fans. 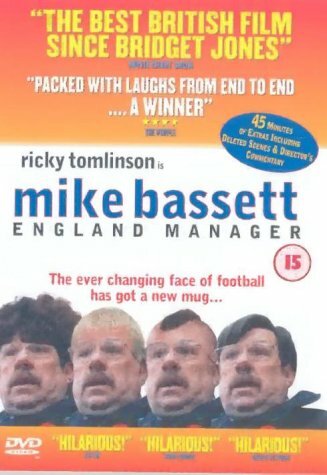 A film about an England manager who isn’t loved by the fans taking England to a World Cup in Brazil might not be to everybody’s taste right now, but this comedy could alleviate some of the post World Cup blues. This mockumentary shows the connections between managers, players and press as well as showing the vulnerable side to managers that you rarely get to see, but most importantly it’s extremely funny. The moment that best combines the fly on the wall style with passion and humour is the halftime team talk in the Mexico game. 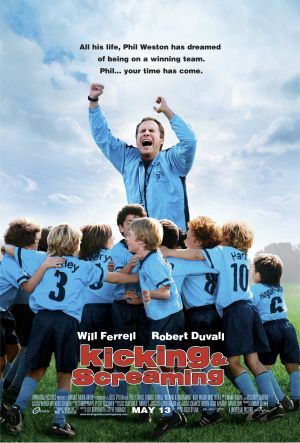 This is the most family friendly of all the films in our list as we see Will Ferrell coach a young soccer team (I’m sorry about using soccer, but those Americans are persistent). Mixing family rivalries with Will Ferrell’s comedic timing allows the audience to connect emotionally with the characters and the classic underachieving hero storyline adds to the already easy viewing. It’s for fans of Ferrell’s non-offensive humour – think Elf with football. 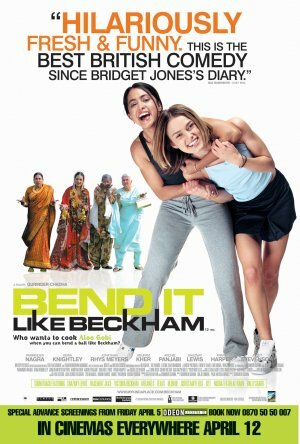 This is the only film in our list to focus entirely on women’s football and has no men playing. Also it deals with how children of immigrants find difficulties in belonging; mixing all of this with romance creates a sports film that could satisfy on a date night. The star of the show is Parminder Nagra who leads the cast wonderfully with her engaging performance and is strongly sported by Keira Knightly and Jonathan Rhys Meyers. It could remind you that England aren’t terrible at football, at least with a decent women’s team. 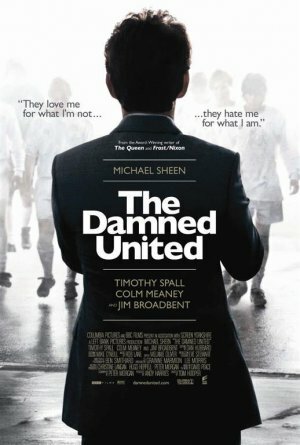 The Dammed United tells the story of Brian Clough’s 44 day tenure as manager of Leeds United and shows there’s one managerial appointment even less successful than David Moyes at United. This almost reached the top spot due to quality performances from the likes of Jim Broadbent, Colm Meaney, Timothy Spall and Michael Sheen, but due to its age it hasn’t had enough time become a classic like our highest placed film. The wonderful relationship between Brian Clough (played by Sheen) and his assistant Peter Taylor (Spall). 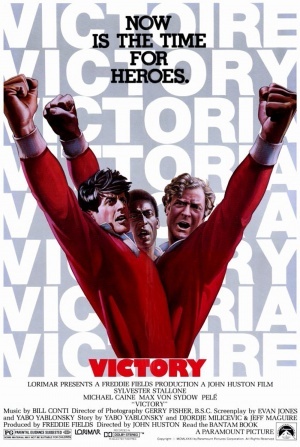 Containing Pelé, Booby Moore and Ossie Ardiles this was always going to be high on the Top 10 Football Films list, but we’ve decided after a tournament which showcased the best in world football and a dominate German team, a film that mirrors that should really be top. Not content with being a great sports film, Escape to Victory is also a great war movie and manages to show a gentlemanly side to the German characters with cheating at football being their worst action. To remember how brutal defending used to be and of course basking in the skill of Pelé, Moore and Ardiles. So that’s our Top 10 Football Films. Was there a film you thought we missed? Did we give too much credit to any? Let us know what you think below.